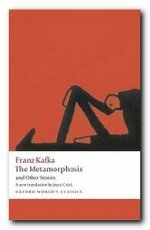 Metamorphosis (1915) is truly one of Kafka’s masterpieces – a stunning parable which lends itself to psychological, sociological, or existential interpretations. It’s the tale of a man who wakes up one morning and finds himself transformed into a giant insect. His family are horrified, gradually disown him, and he dies of neglect, with a rotting apple lodged in his side. Franz Kafka is one of the most important and influential fiction writers of the early twentieth century. He was a novelist and writer of short stories whose works, only after his death, came to be regarded as one of the major achievements of twentieth century literature. Gregor Samsa awakes one morning to find himself transformed from a human being into a giant insect. Rather than lament his transformation, Gregor worries about how he will get to his job as a traveling salesman; Gregor is the sole financial provider for his parents and sister, Grete, and their comfort is dependent on his ability to work. When Gregor’s supervisor arrives at the house and demands Gregor come out of his room, Gregor manages to roll out of bed and unlock his door. His appearance horrifies his family and supervisor; his supervisor flees while his family chases him back into his room. Grete attempts to care for her brother by providing him with milk and the stale, rotten food he now prefers. Gregor also develops the fears of an insect, being effectively shooed away by hissing voices and stamping feet. However, Gregor remains a devoted and loving son, and takes to hiding beneath a sofa whenever someone enters his room in order to shield them from his horrifying appearance. When alone, he amuses himself by looking out of his window and crawling up the walls and on the ceiling. No longer able to rely on Gregor’s income, the other family members take on jobs and Grete’s caretaking deteriorates. One day, when Gregor emerges from his room, his father chases him around the dining room table and pelts him with apples. One of the apples becomes embedded in his back, causing an infection. Due to his infection and his hunger, he is soon barely able to move at all. Later, his parents take in lodgers and use Gregor’s room as a dumping area for unwanted objects. Gregor becomes dirty, covered in dust and old bits of rotten food. One day, Gregor hears Grete playing her violin to entertain the lodgers. Gregor is attracted to the music, and slowly walks into the dining room despite himself, entertaining a fantasy of getting his beloved sister to join him in his room and play her violin for him. The lodgers see him and give notice, refusing to pay the rent they owe, even threatening to sue the family for harboring him while they stayed there. Grete determines that the monstrous vermin is no longer Gregor, since Gregor would have left them out of love and taken their burden away. She suggests that they must get rid of it. Gregor retreats to his room and collapses, finally succumbing to his wound, and dying alone. The point of view shifts as, upon discovery of his corpse, the family feels an enormous burden has been lifted from them, and start planning for the future again. The family discovers that they aren’t doing financially badly at all, especially since, following Gregor’s demise, they can take a smaller flat. The brief process of forgetting Gregor and shutting him from their lives is quickly completed. Franz Kafka: Illustrated Life This is a photographic biography that offers an intimate portrait in an attractive format. A lively text is accompanied by over 100 evocative images, many in colour and some previously unpublished. They depict the author’s world – family, friends, and artistic circle in old Prague – together with original book jackets, letters, and other ephemera. This is an excellent starting point for beginners which captures fin de siecle Europe beautifully. Jeremy Adler, Franz Kafka (Overlook Illustrated Lives), Gerald Duckworth, 2004. Louis Begley, The Tremendous Words I have Inside my Head: Franz Kafka: A Biographical Essay, Atlas Illustrated editions, 2008. Harold Bloom, Franz Kafka: Modern Critical Essays, New York: Chelsea House, 1986. Harold Bloom, Franz Kafka (Bloom’s Major Novelists), Chelsea House Publishers, 2003. Elizabeth Boa, Kafka: Gender, Class, and Race in the Letters and Fictions, Oxford: Clarendon Press, 1996. Max Brod, Franz Kafka: A Biography, Da Capo Press, 1995. Max Brod (ed), The Diaries of Franz Kafka, Schoken Books, 1988. Elias Canetti, Kafka’s Other Trial: The Letters to Felice, Schocken Books, 1989. Stanley Corngold, Lambent Traces: Franz Kafka, Princeton University Press, 2006. W.J. Dodd (ed), Kafka: The Metamorphosis, The Trial, and The Castle, London: Longman, 1995. Carolin Duttlinger, Kafka and Photography, Oxford: Oxford Universit Press, 2007. Angel Flores (ed), The Kafka Debate, New York: Gordian Press, 1977. Sander Gilman, Franz Kafka (Critical Lives), Reaktion Books, 2007. Sander Gilman, Franz Kafka: The Jewish Patient, London: Routledge, 1995. Ronald Gray, Kafka: A Collection of Critical Essays, Prentice Hall, 1962. Ronald Hayman, A Biography of Kafka, London: Weidenfeld & Nicolson, 2001. Franz Kafka, The Blue Octavo Notebooks, Exact Change, 1998. Franz Kafka, The Trial (Complete Audiobooks), Naxos Audiobooks, 2007. David Zane Mairowitz, Introducing Kafka, Icon Books, 2007. Julian Preece (ed), The Cambridge Companion to Kafka, Cambridge University Press, 2002. Ronald Spiers, and Beatrice Sandberg, Franz Kafka, London: Macmillan, 1997. Walter H. Sokel, The Myth of Power and the Self: Essays on Franz Kafka, Wayne State University Press, 2001. Ritchie Robertson, Kafka: A Very Short Introduction, Oxford University Press, 2004. Ritchie Robertson, Kafka: Judaism, Politics, and Literature, Clarendon Press, 1987. James Rolleston (ed), A Companion to the Works of Franz Kafka, Camden House, 2006. Michael Wood, Franz Kafka (Writers and Their Work), Northcote House, 1998. 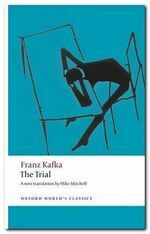 The Trial is Kafka’s one indisputably successful novel – a haunting and original study in existential anxiety, paranoia, and persecution. Joseph K is accused one day of being guilty – but not told what crime he has committed. He wrestles hopelessly with legal officials and a nightmare-like court which acts on arbitrary rules, striving to find justice. In the end he fails, only to be killed ‘like a dog’. Kafka gave expression to modern anxiety three decades before most people even started feeling it. This is a novel which stands outside literary norms – a superb achievement of literary modernism. Be prepared for black humour as well as mind-bending contradictions and deeply etched literary expressionism. Read the stories and The Trial as a start and a minimum. 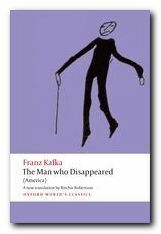 Amerika (also known as The Man who Disappeared) is Kafka’s first attempt at a novel. He is renowned for documenting the horrors of modern life, but Kafka also had a lighter and amusing side. 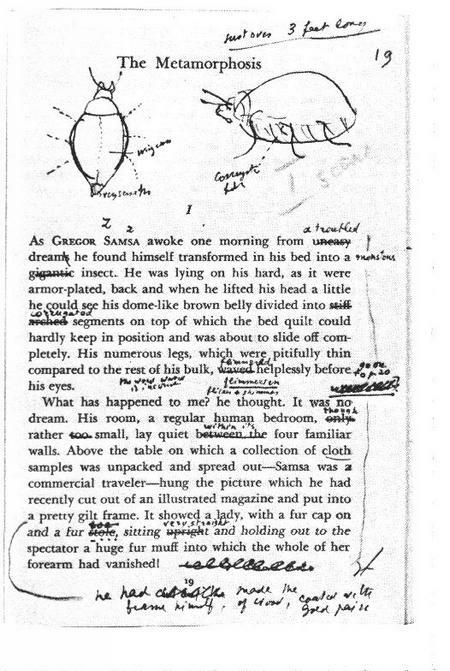 This is incomplete, like so much else he wrote. It’s the story of Karl Rossmann who after an embarrassing sexual misadventure is expelled from his European home and goes to live in an imaginary United States (which of course Kafka had never visited). The story is deeply symbolic – as usual – and an interesting supplement to the central texts. In fact it’s a reverse ‘Rags to Riches’ story, because Karl starts his engagement with the American Dream quite successfully – but by the end of the novel he is destitute. The first chapter is frequently anthologised as ‘The Stoker’. Biographical notes, book reviews and study guides on the major works, video presentations and documentaries, adaptations for cinema and television, and links to Kafka archives. A major collection of free eTexts in a variety of formats – in both English and German. Biographical notes, social background, survey of the stories and novels, publishing history, translations, critical interpretation, and extensive bibliographies. Adaptations for the cinema and television – in various languages. Full details of directors, actors, production features, box office, film reviews, and even quizzes. Video photomontage featuring portraits of Kafka, his friends and family, and locations in Prague – with a rather schmaltzy soundtrack in Yiddish and English. 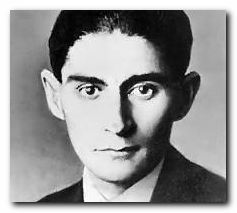 A public Wiki dedicated to Kafka and his work, featuring the short stories, interpretations, and further web links. 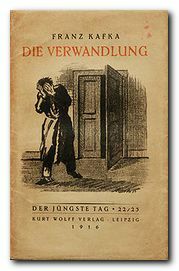 Critical editions and translations of Kafka’s work in several languages, plus articles, literary criticism, bibliographies. Individual fan site (created by ‘Herzogbr’) featuring a collection of texts, reviews, and enthusiast essays. Badly in need of updating, but contains some interesting gems. Quirky compilation of photos locating Kafka in his home town – with surrealist additions and weird sound track. 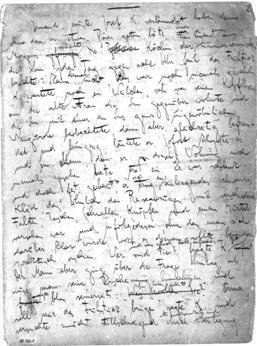 Essay by Judith Butler from the London Review of Books on the contentious issues of ownership of Kafka’s manuscripts where they are currently held in Israel – complete with podcast. Guardian newspaper report on the suitcase full of Kafka and Max Brod’s papers released by Israeli library. Book review of a charming short biography with some unusual period photos of Kafka and Prague.